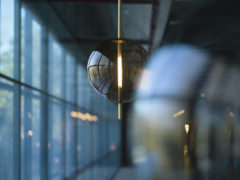 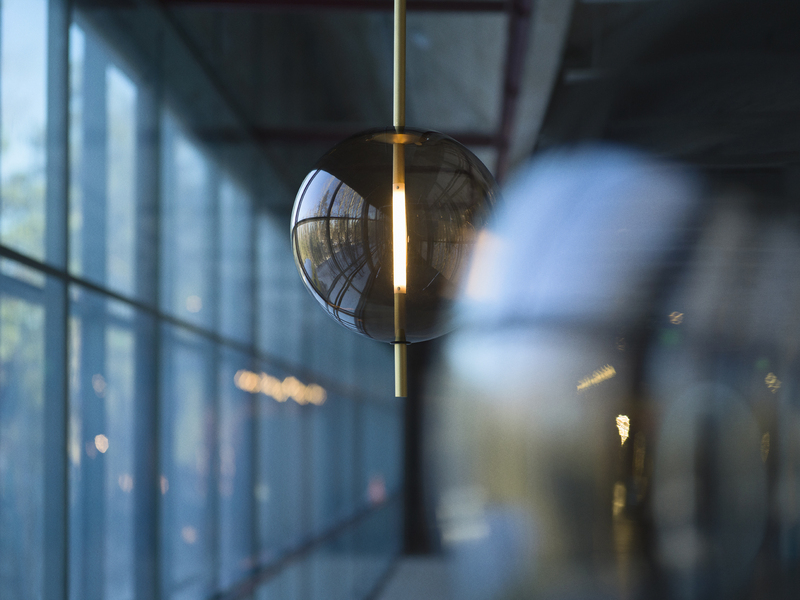 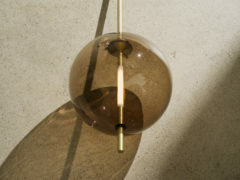 A sphere and a spear act as the main characters in the lamp composition, piercing each other in midair to create an object that evokes a sensation of weightlessness, fragility and precision. 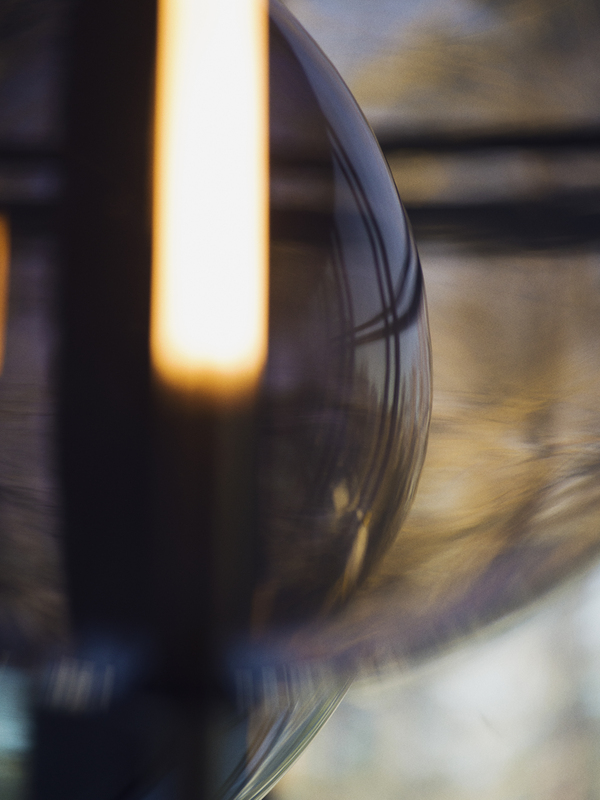 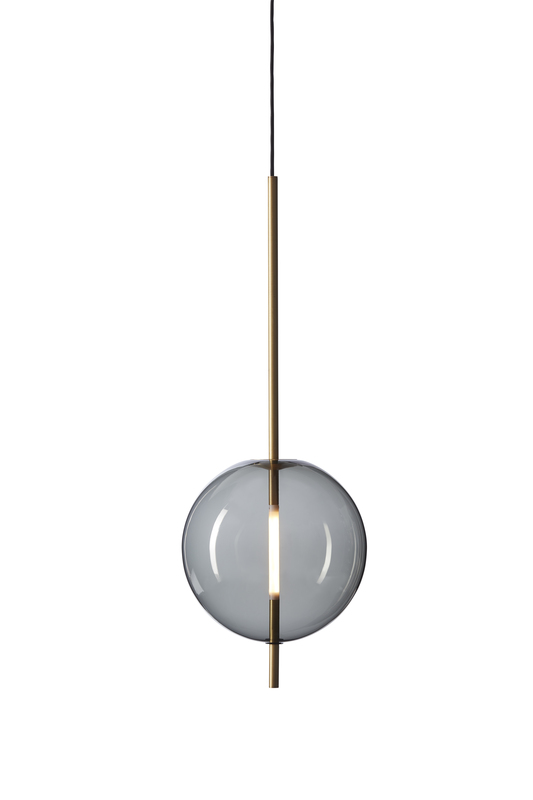 This pendant lamp is inspired by the abstract circle paintings by Wassily Kandinsky during his years at the renowned Bauhaus school in the 1920´s. A sphere and a spear act as the main characters in the lamp composition, piercing each other in midair to create an object that evokes a sensation of weightlessness, fragility and precision. The custom-made light source is shaped and fitted seamlessly as a part of the brass spear and emits a glowing, dimmable light from the center of the smoke-colored glass. 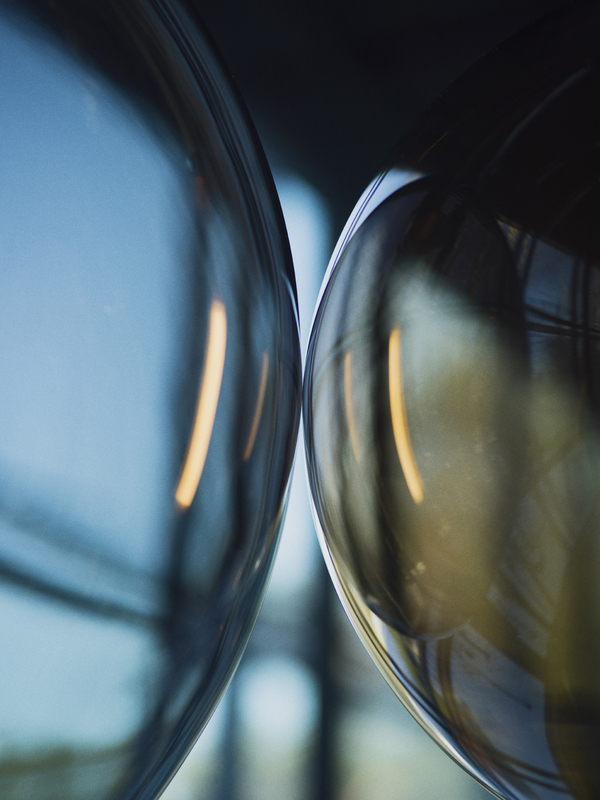 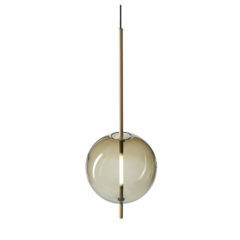 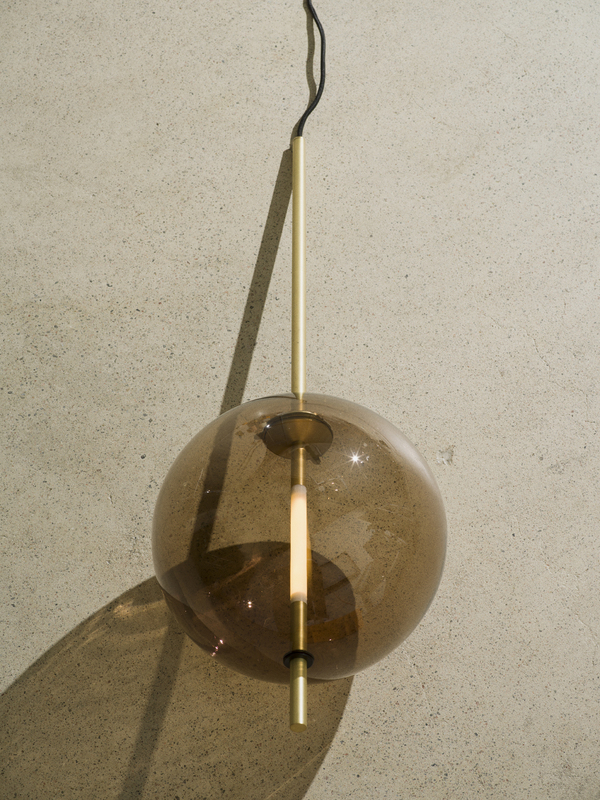 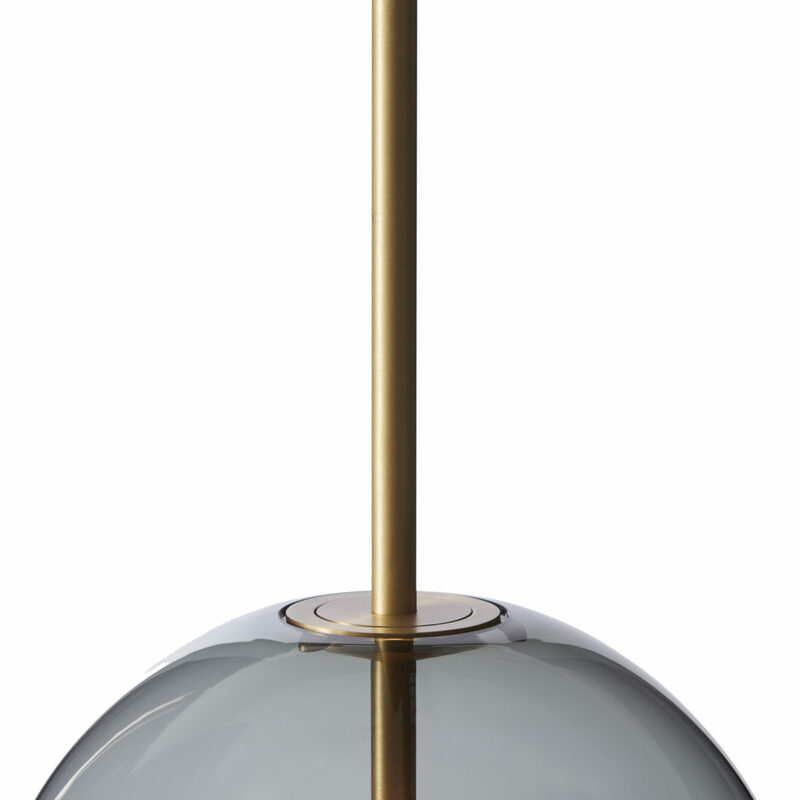 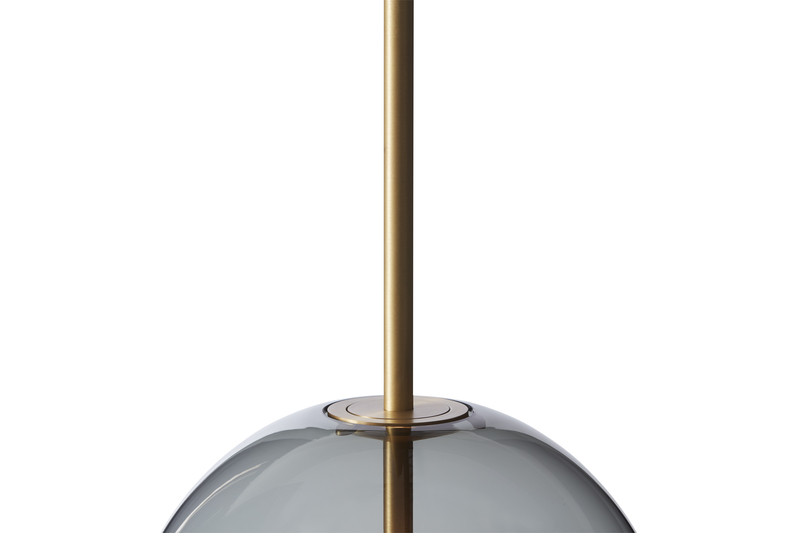 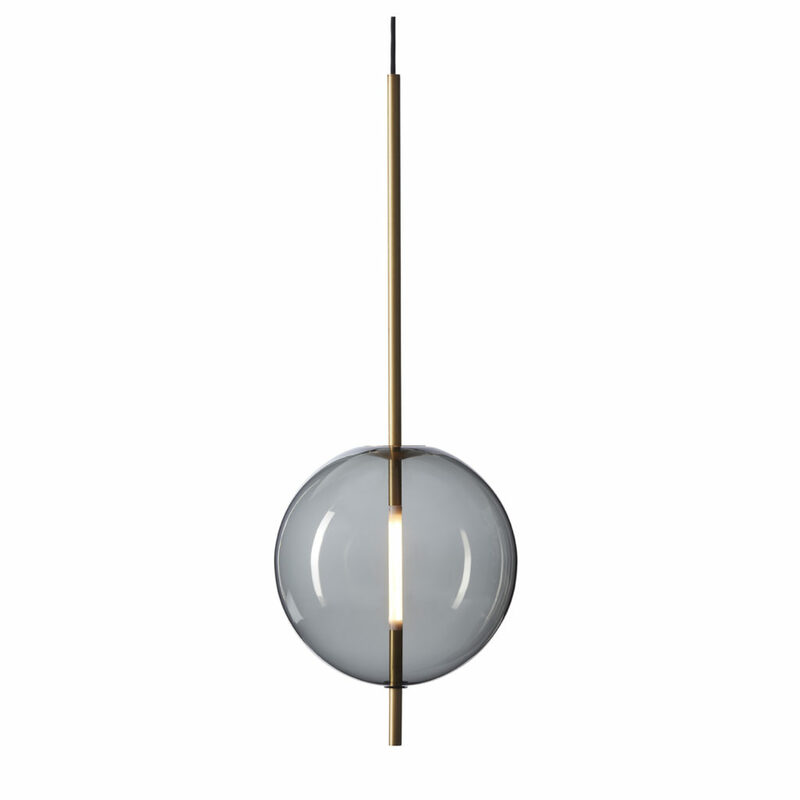 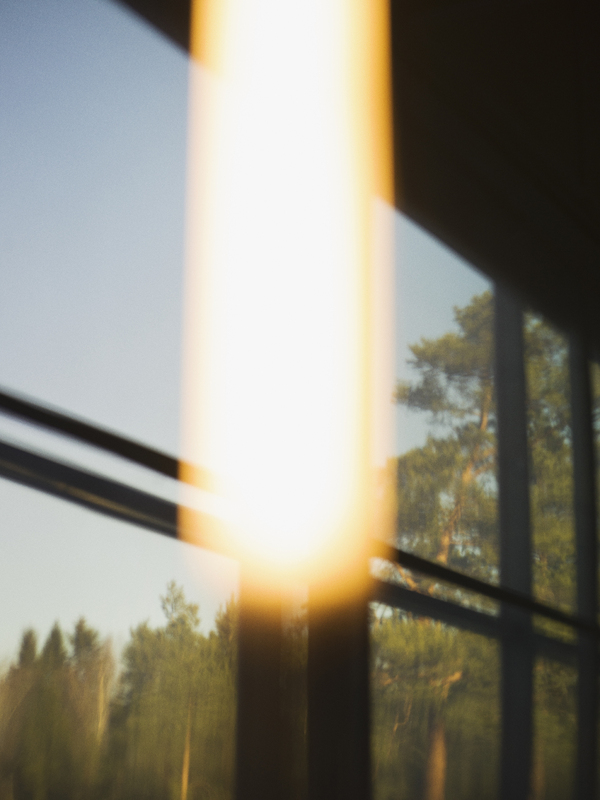 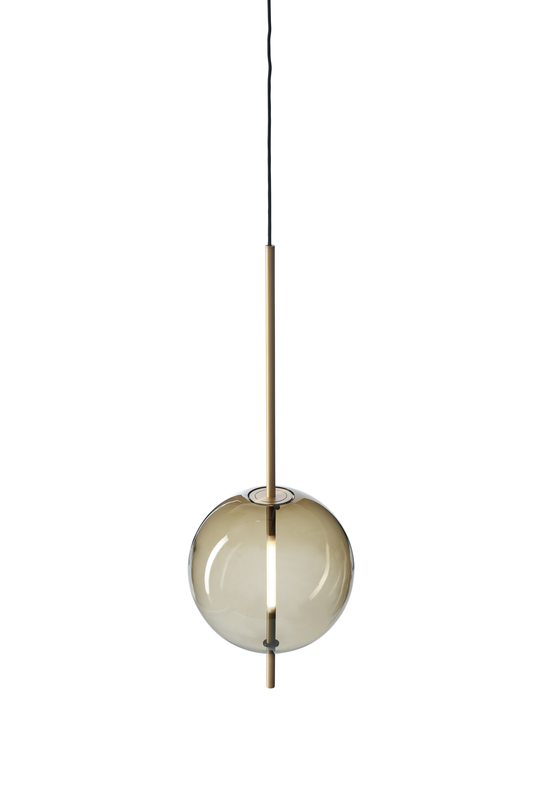 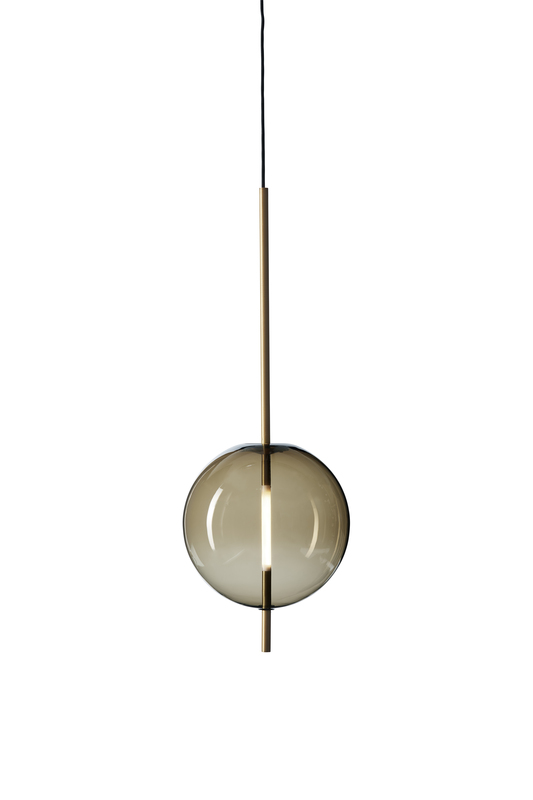 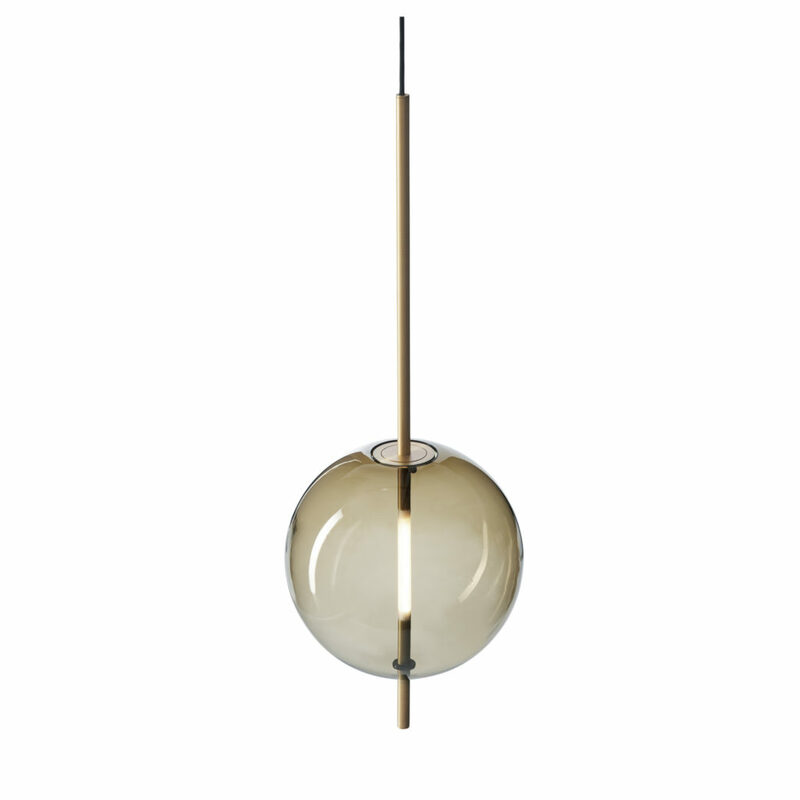 The Kandinsky lamp is available in two sizes with a 300 or 450mm wide glass bubble. It functions well as a lamp or object to set the mood of a room, hanging in numbers in a large space or as a single piece over a table.